Nivi has always known that her names were special, but she does not know where they came from. So, one sunny afternoon, Nivi decides to ask her mom. The stories of the people Nivi is named after lead her to an understanding of traditional Inuit naming practices and knowledge of what those practices mean to Inuit. 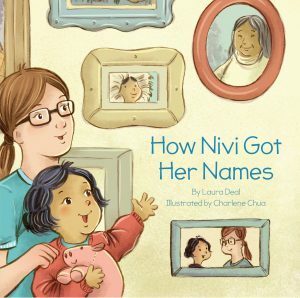 How Nivi Got Her Names is an easy-to-understand introduction to traditional Inuit naming, with a story that touches on Inuit custom adoption.